We got to play the sequel to Ubisoft's 3rd person MMO shooter, here’s what we thought. Tom Clancy’s The Division 2 takes place 7 months after the disease outbreak on Black Friday that left New York City in shambles. The agents in New York have lost all communication with Division HQ in Washington DC. You play as an agent in DC, during the hot summer, you’ll work with other agents to reclaim the city and re-establish communication with New York. The map for The Division 2 is larger than the one used in the first game, but not by a gigantic margin, that being said, Ubisoft seems to be making much better use with DC than they did with New York. The map in the first game had 2 biomes: shopping and housing districts. The map in The Division 2 will feature 6 biomes. This includes a jungle-like area, suburbs, and more wide open spaces. Hopefully, this will help to spice up gameplay and give players a sense of variety. During my demo I played through an open area in front of the national monument, which provided for a much different combat experience compared to the always cluttered streets of New York. I also want to mention that yet again, Ubisoft has done a superb job at recreating Washington DC, down to the smallest of details. In The Division 2, Ubisoft is really putting an emphasis on co-op and the team experience. There are more diverse loadouts, along with classes that each have their own unique weapon (Grenade Launcher, Crossbow, Barrett .50 Caliber Sniper). In addition to that, The Division 2 will be introducing 8 player raids where players can team up to take on some of the toughest challenges Washington DC has to offer. In a vacuum, the combat in the Division 2 feels just like the first game, for better or worse. That being said, this game doesn’t exist in a vacuum, and the new environment really adds some flavor to the cover-based shooter. Fighting in wide open areas means less cover, forcing players to act more strategically when bouncing from cover to cover. During my demo, there were a few instances when I found myself under heavy fire because I got caught in a wide open space and didn’t have cover to drop onto. The Division 2 will receive content updates every three months after release throughout year one. These updates will add new locations, missions, enemies, and loot. Ubisoft also made it clear that these expansions will be completely free for those who own the game. They’ve confirmed that PvP will return, but we aren’t sure if that’ll be in the form of The Dark Zone (PvP area from the first game) or something new. 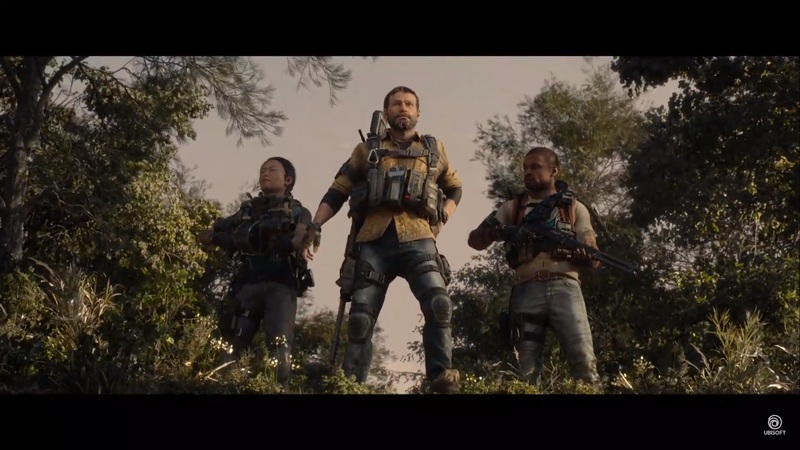 The Division 2 will also feature leaders so that players can rank their performance in challenges against friends and the rest of the world. Some of these challenges will reward players with some pretty sweet cosmetics, so that you can show off and brag to other agents you come across. It’s hard to tell from my demo if Ubisoft is going to fully deliver on all of these promises, but it’s clear that they want to start off strong when the Division 2 hits XB1, PS4, and PC March 15, 2019. Leaderboards? Like division has in ge events?